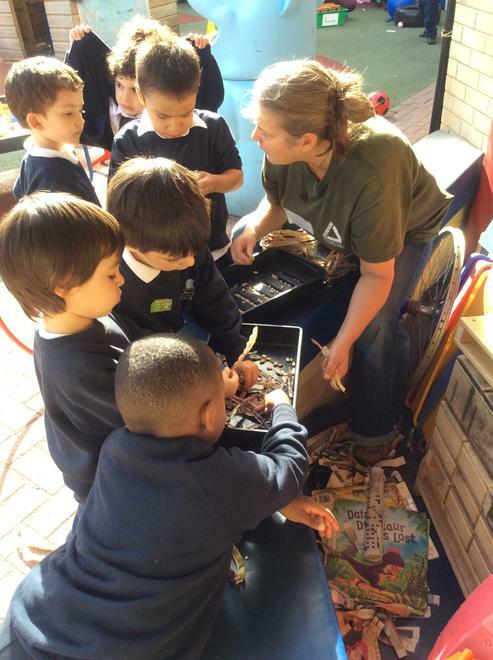 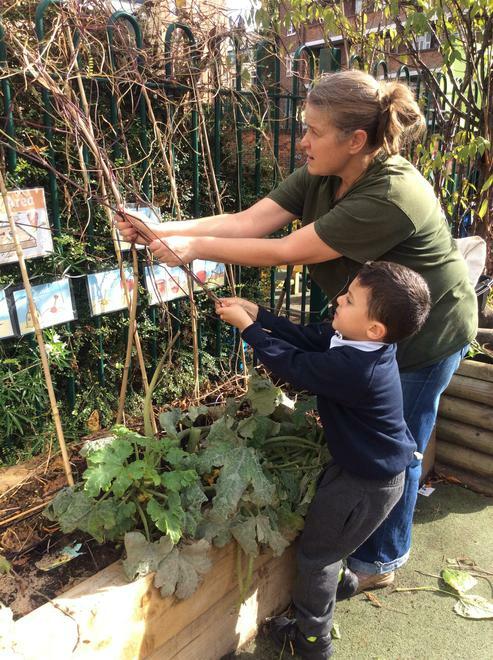 Groundwork London helps communities across the capital become greener, stronger and healthier. 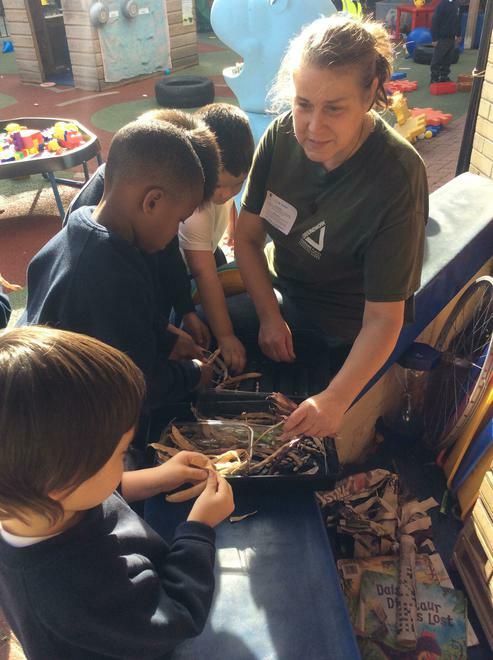 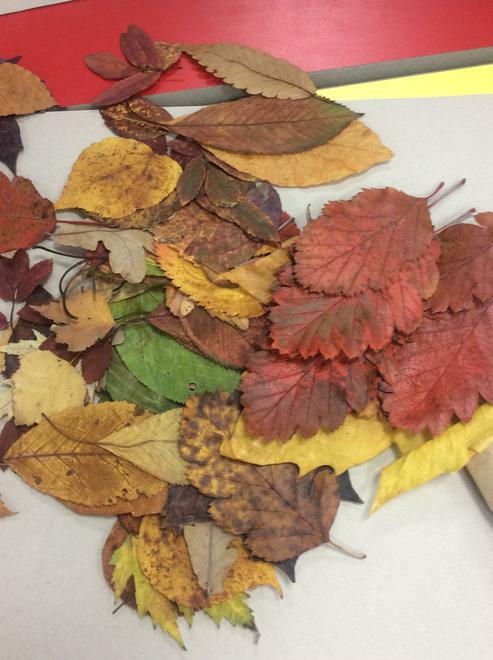 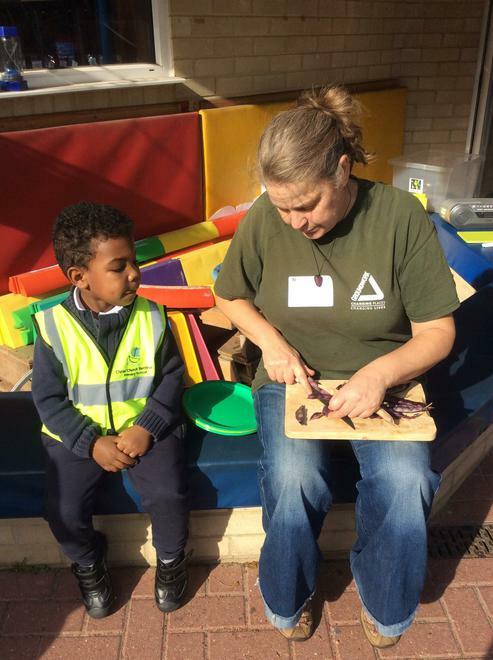 They work with people living in London’s most vulnerable places to transform open space, re-connect people with nature, provide training & create jobs, and reduce energy use & waste. 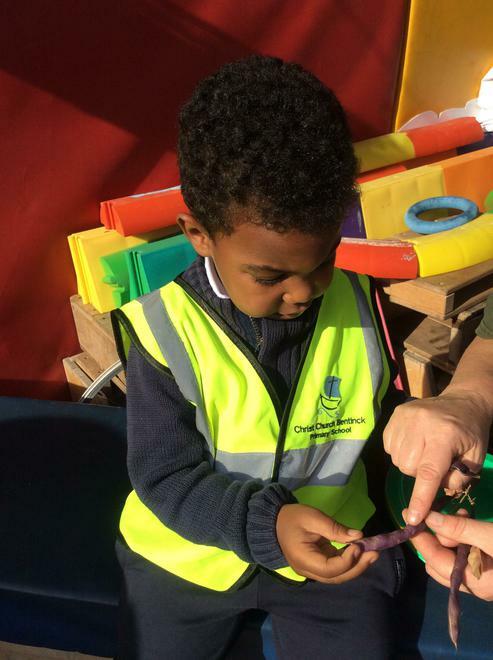 Groundwork London's vision is "of a society of sustainable communities which are vibrant, healthy and safe; which respect the local and global environment, and where individuals and enterprise prosper. 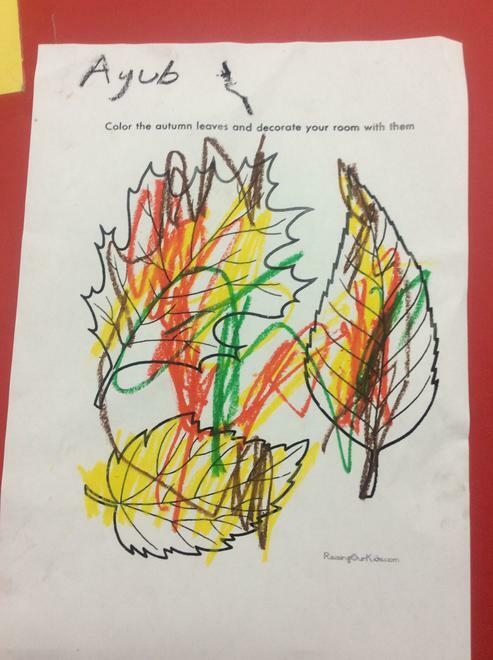 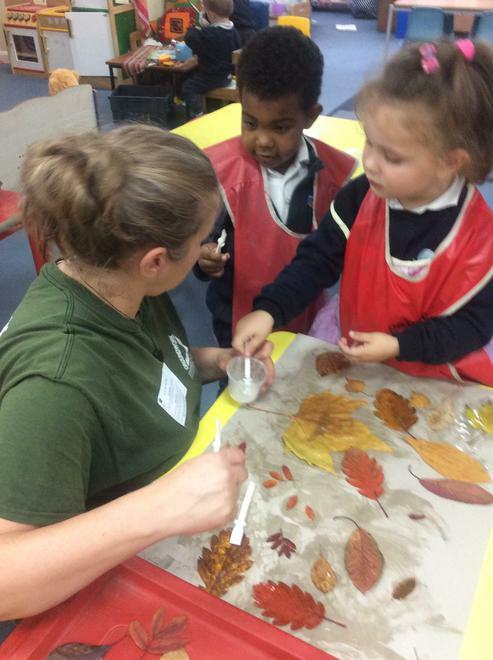 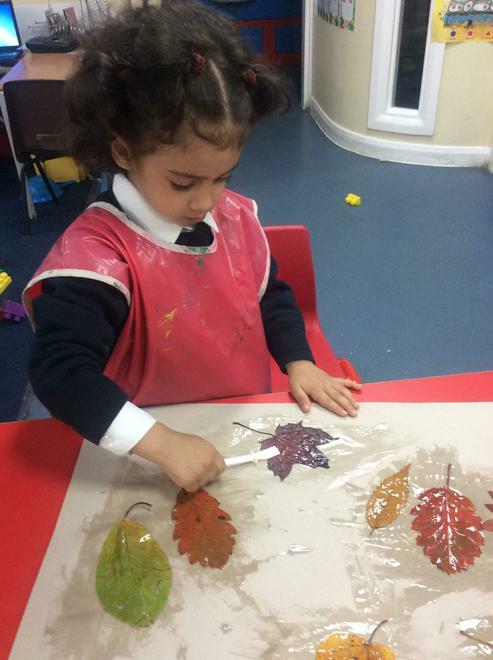 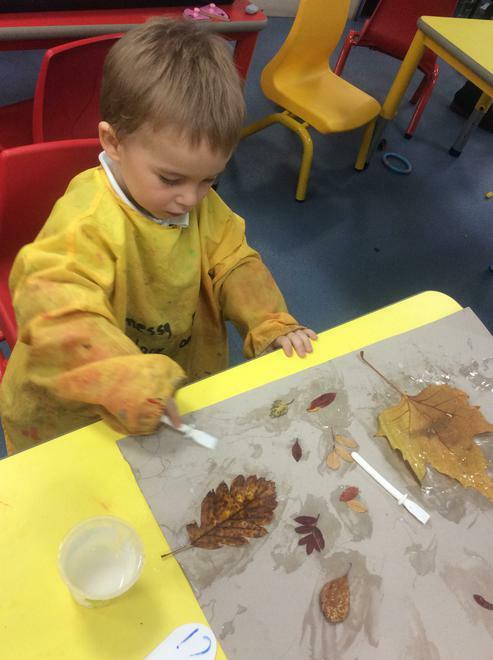 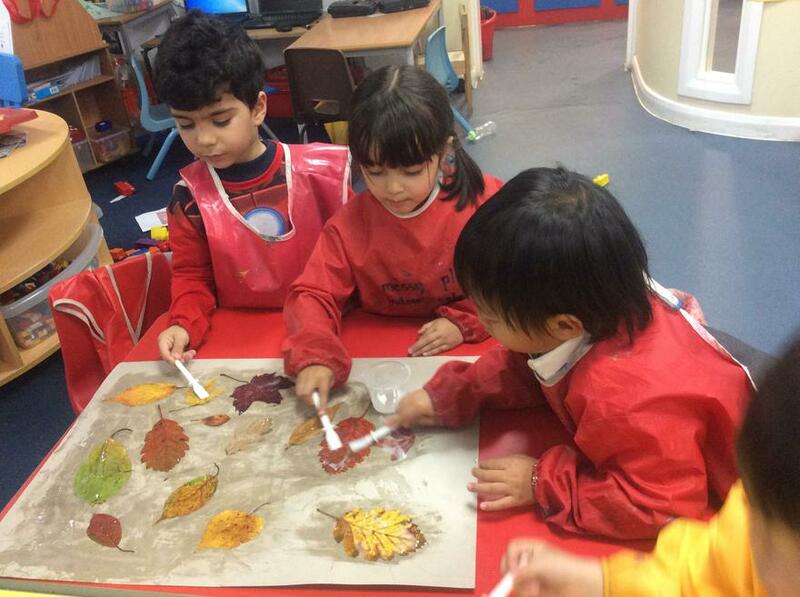 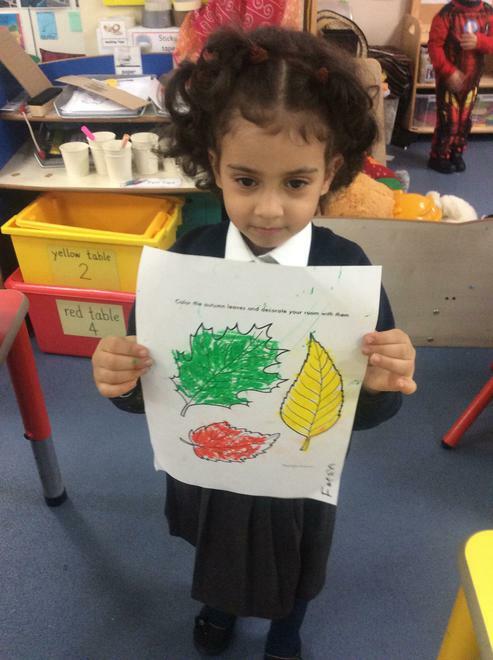 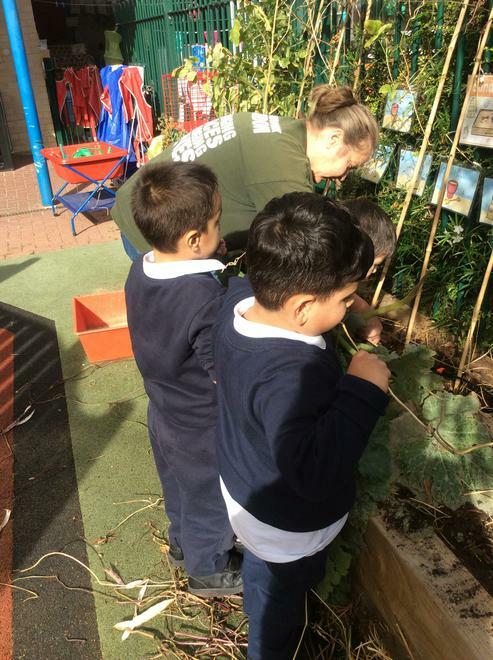 Groundwork London supports our Nursery become greener. 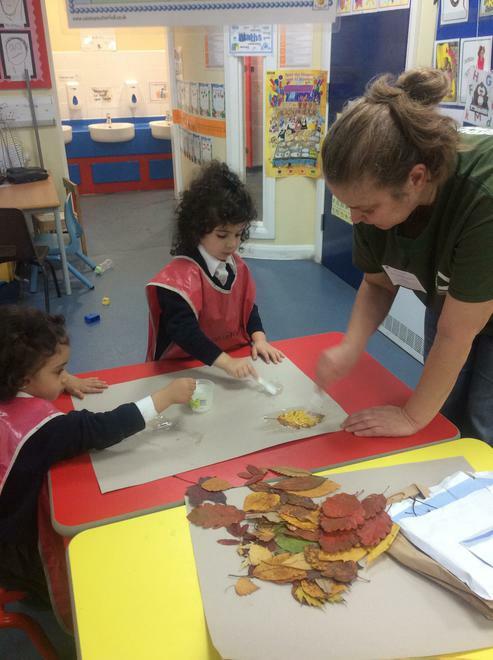 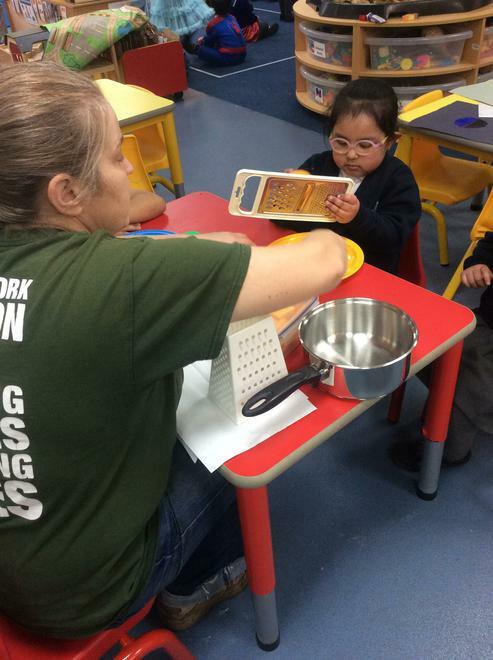 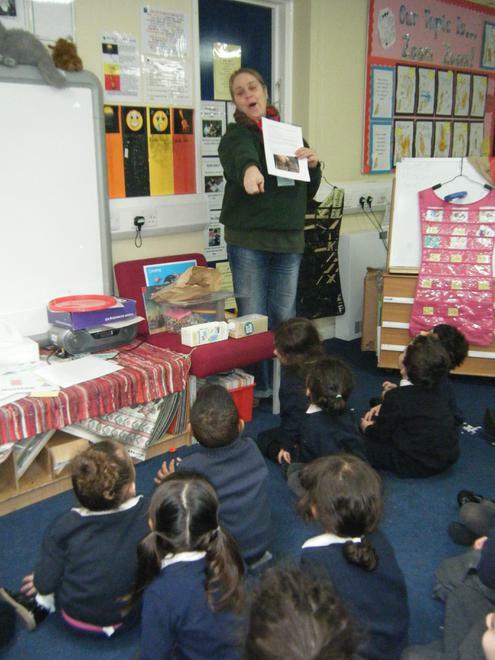 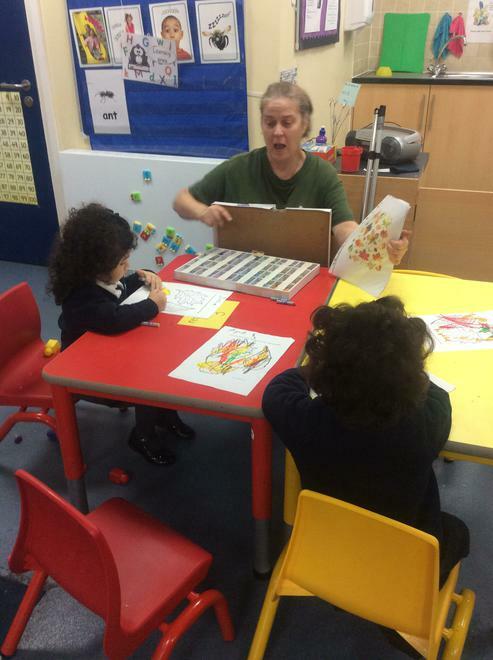 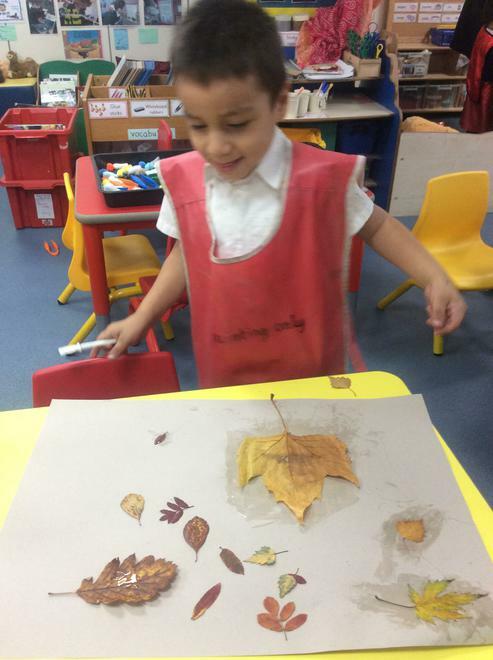 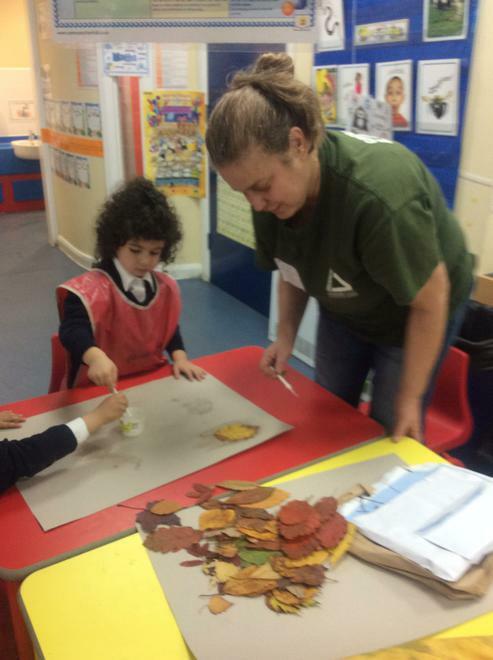 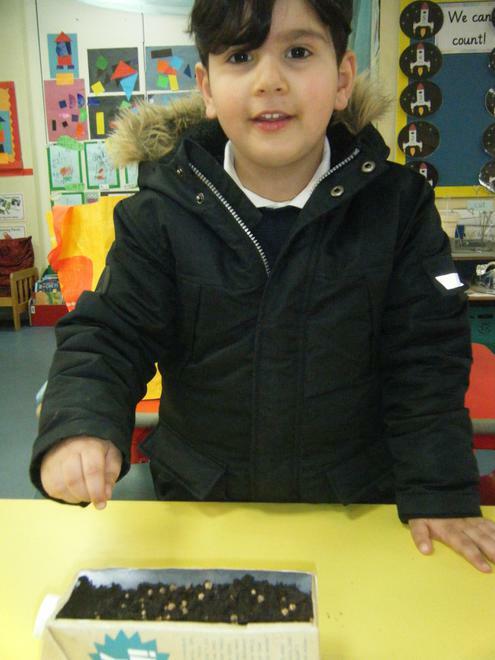 Saira from Groundwork London leads different activities that promote theirs and our school's vision. 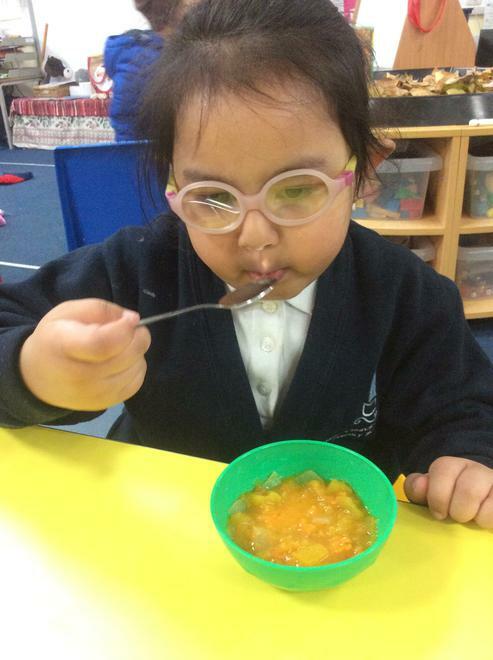 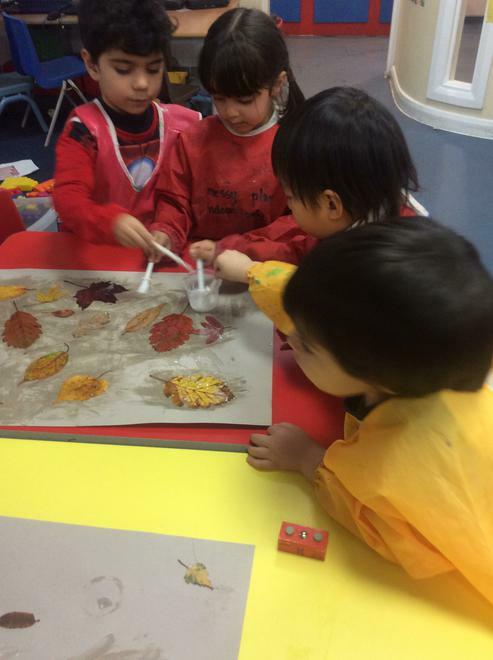 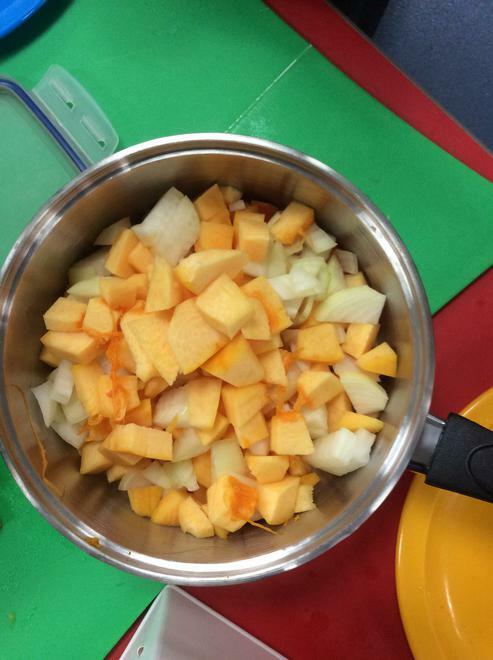 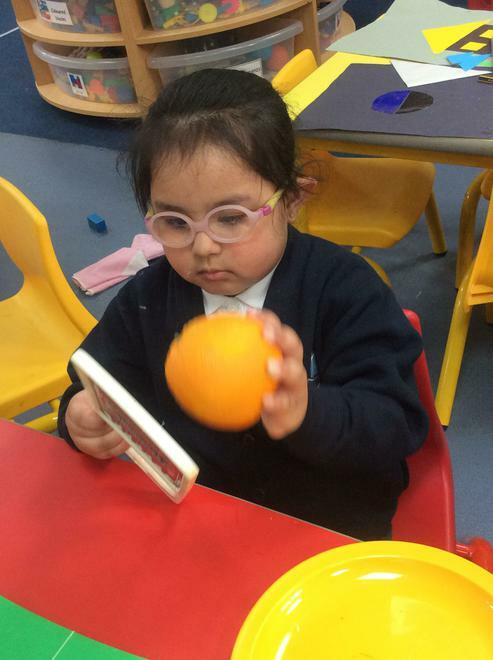 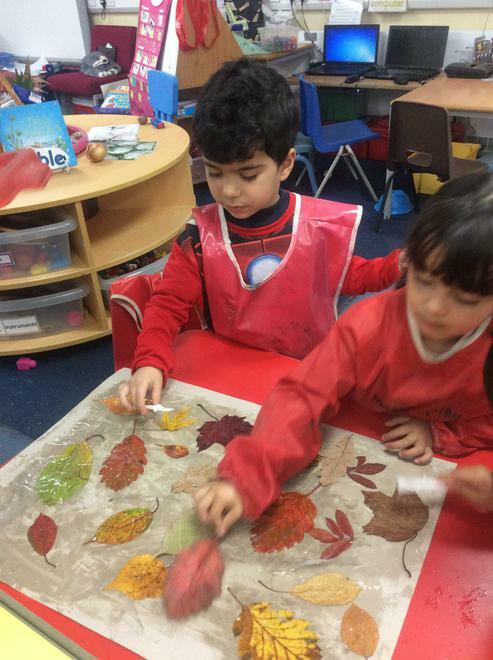 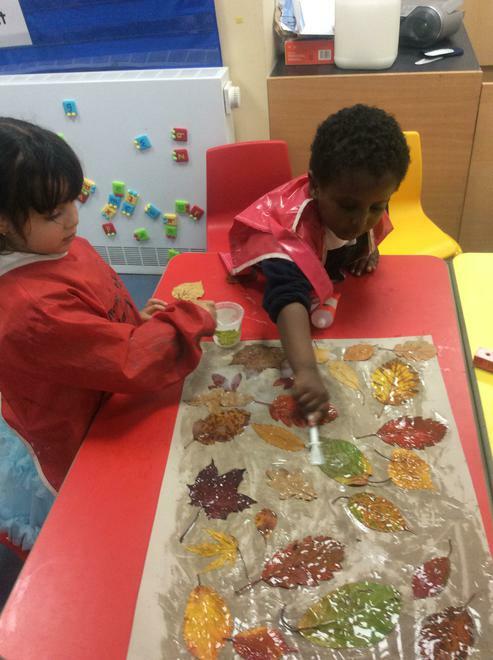 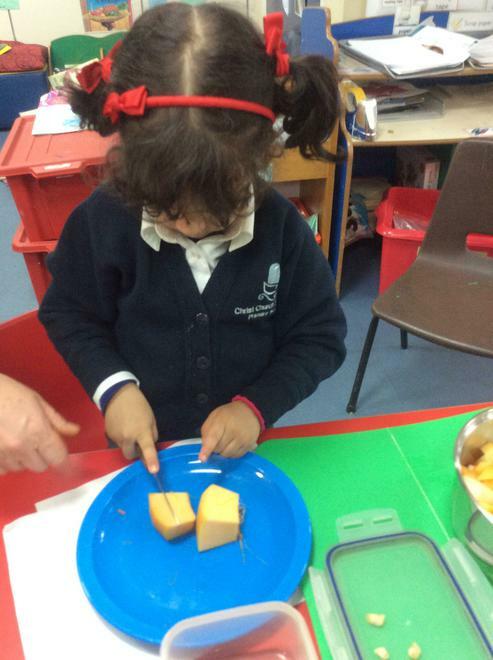 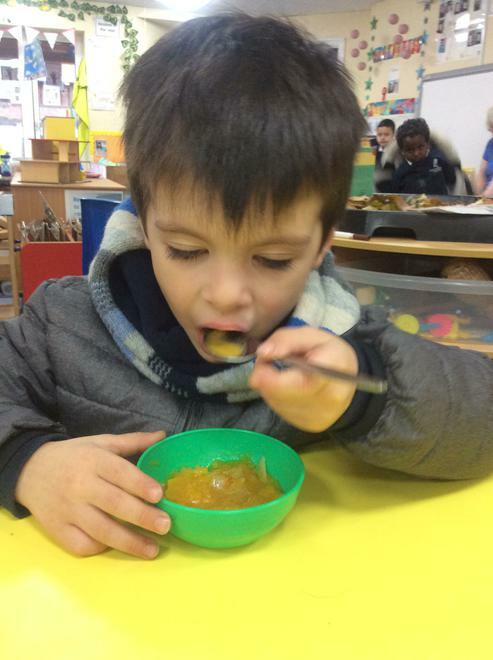 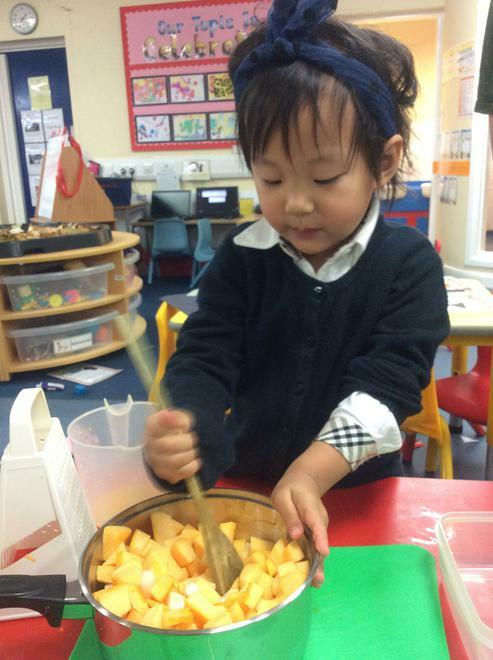 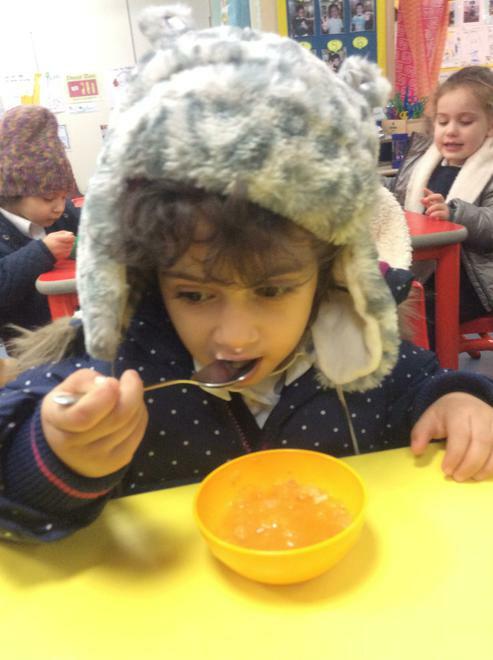 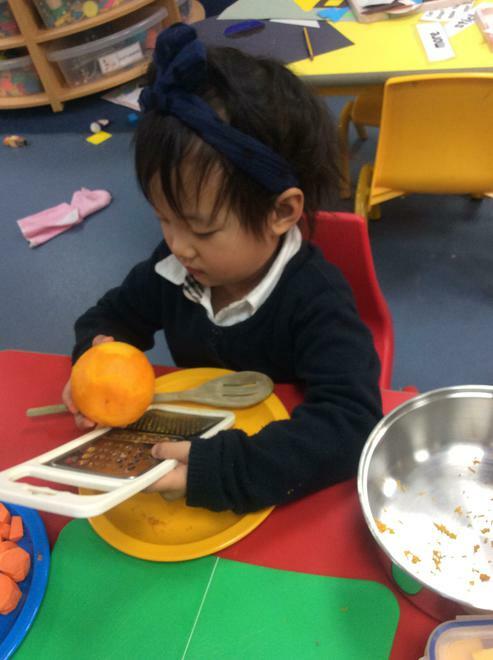 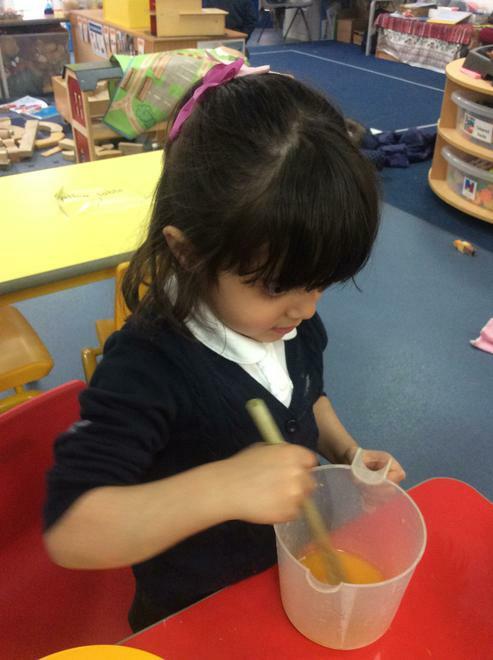 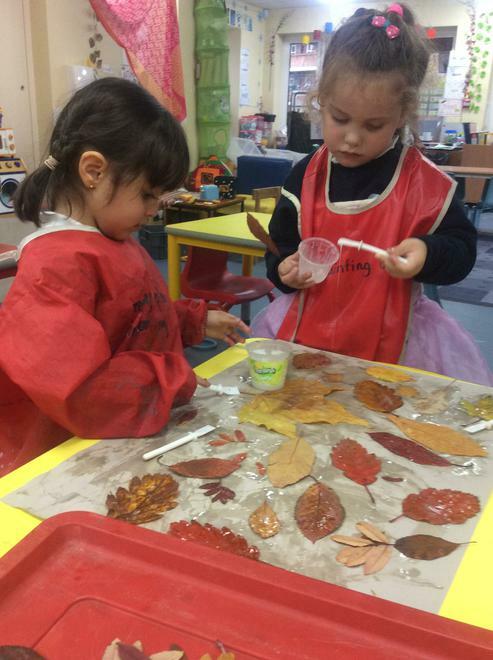 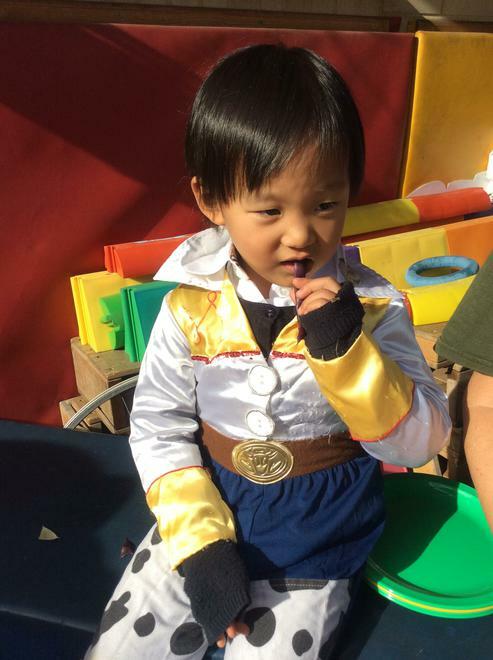 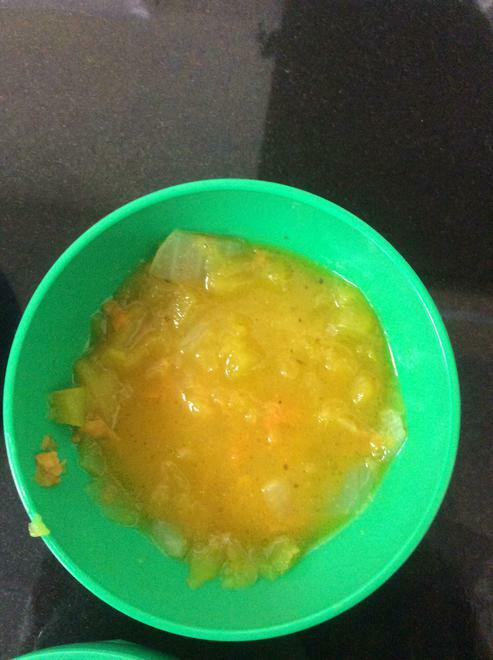 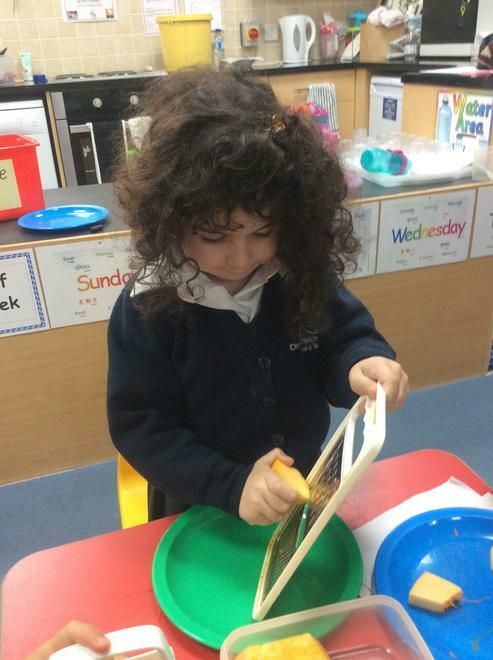 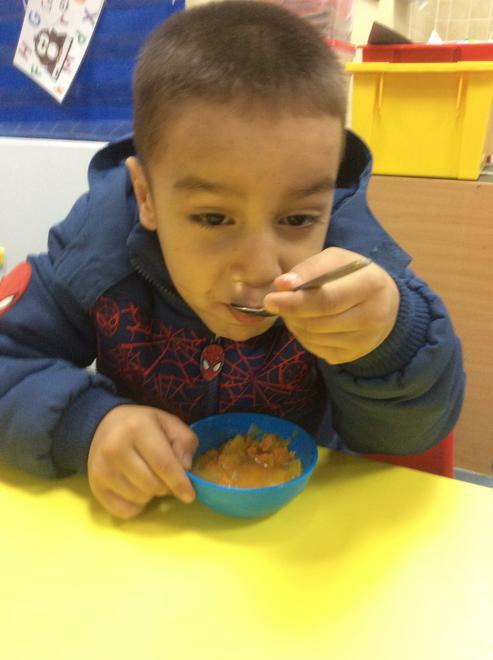 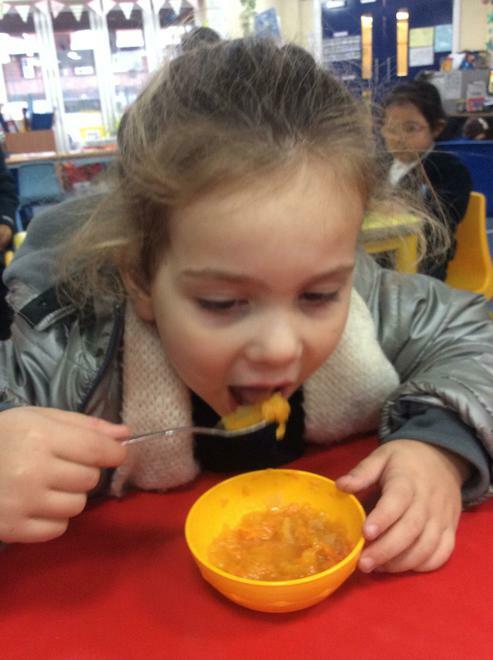 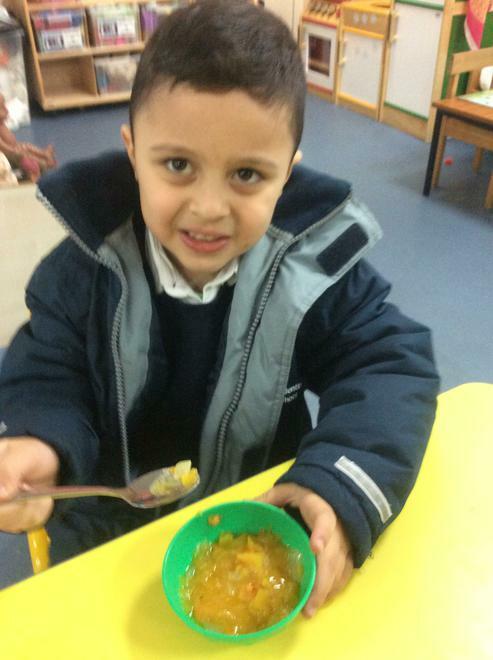 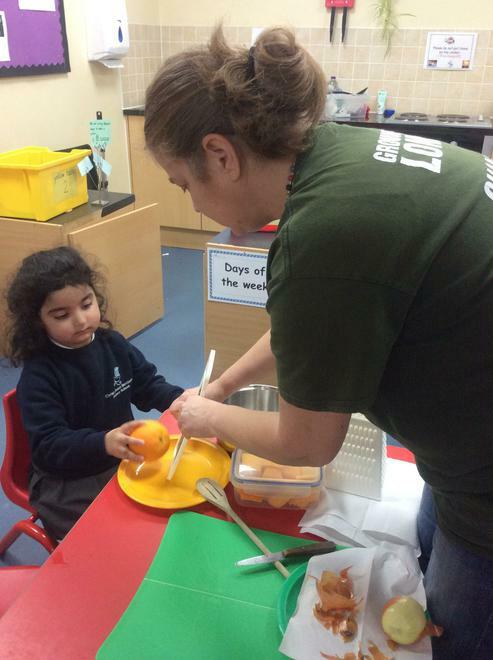 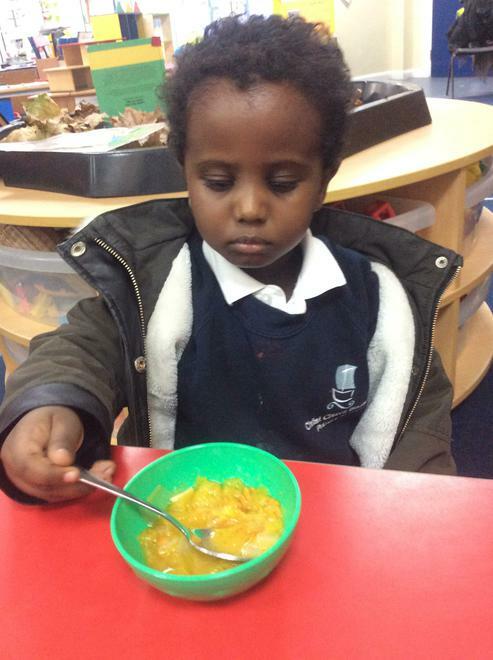 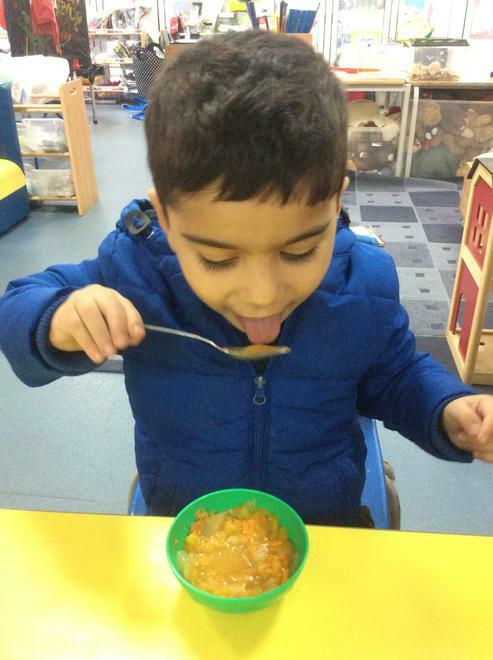 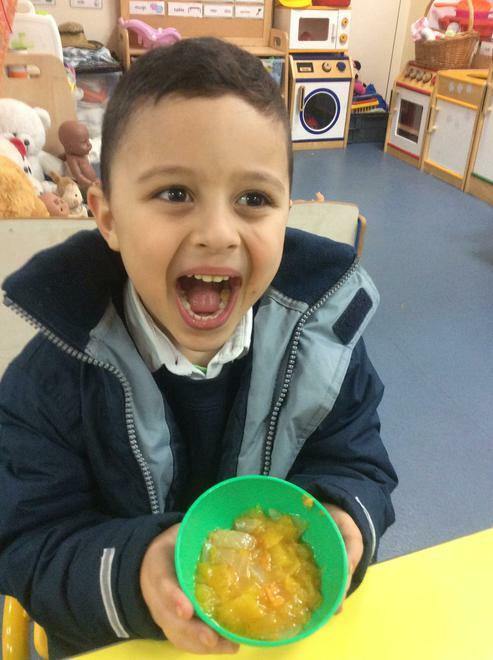 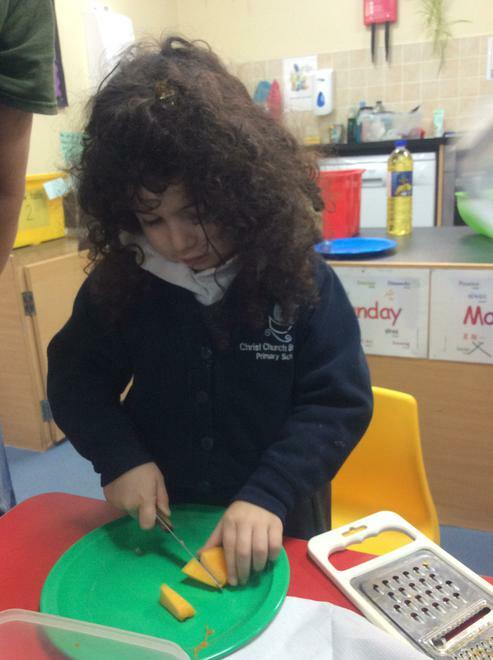 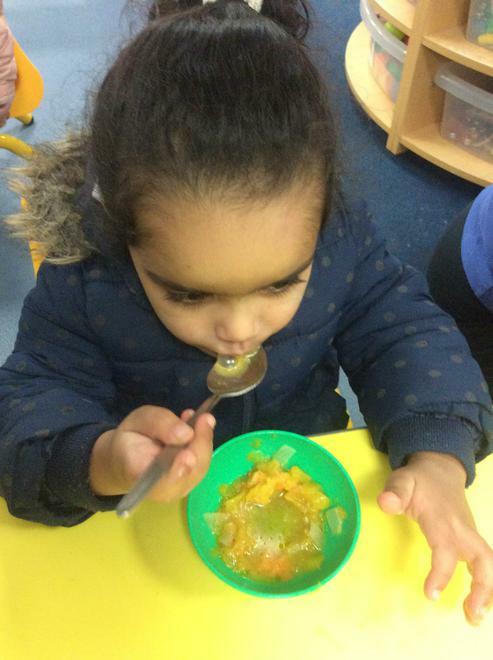 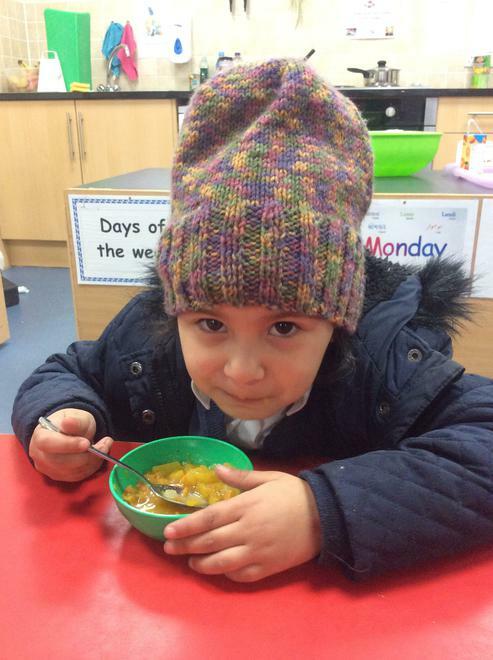 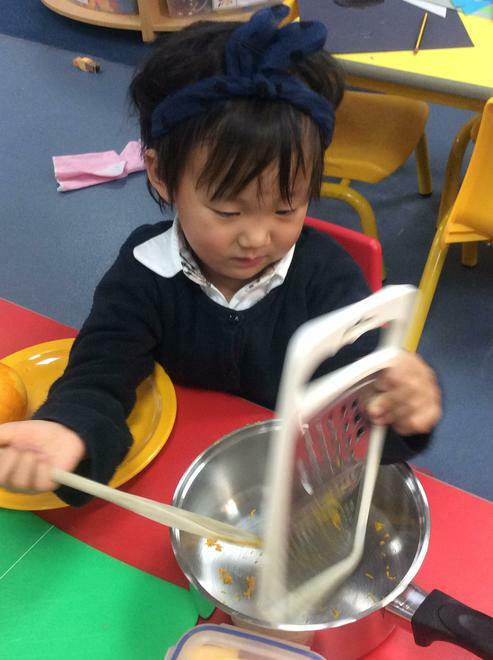 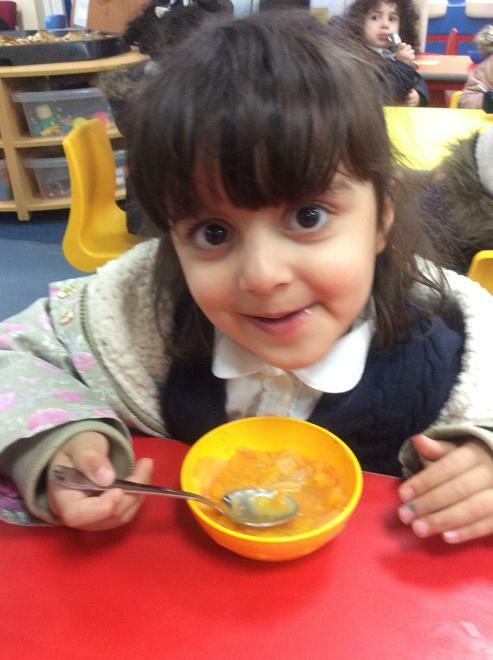 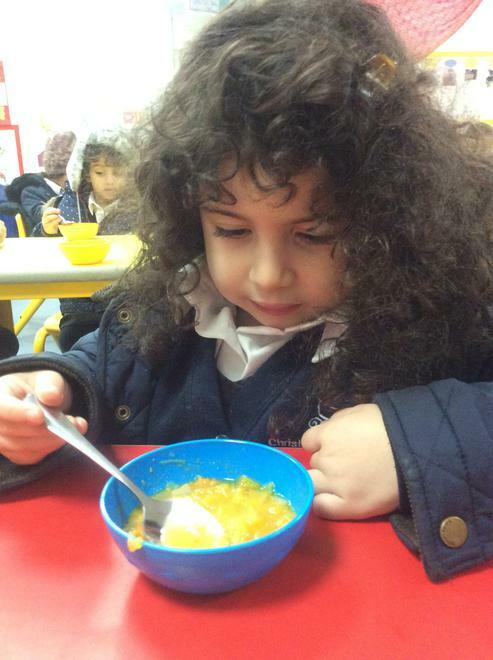 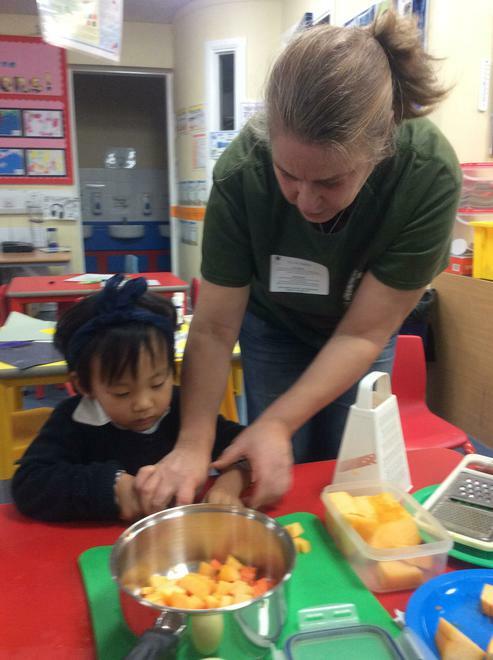 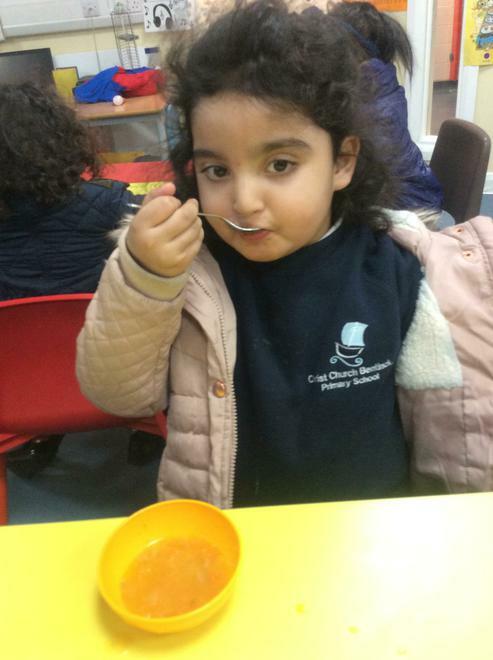 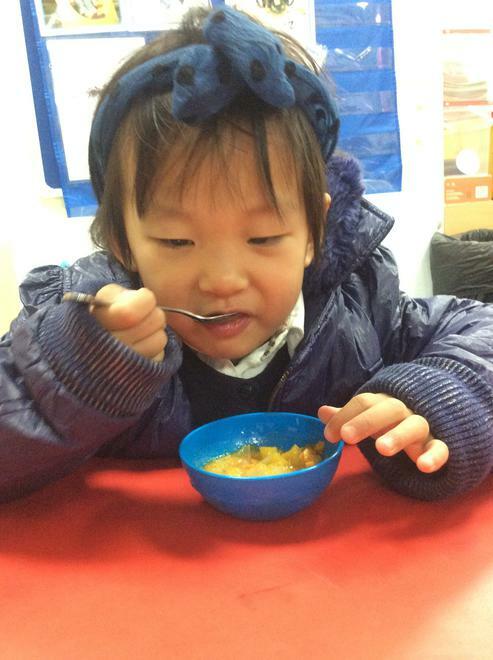 Saira and the Nursery cooked pumpkin soup. 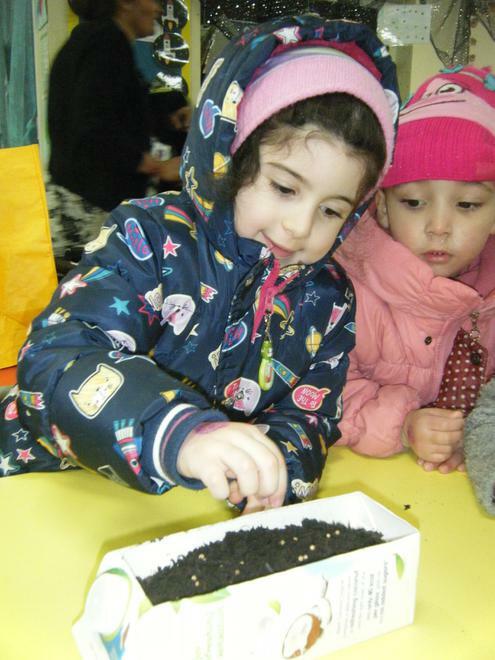 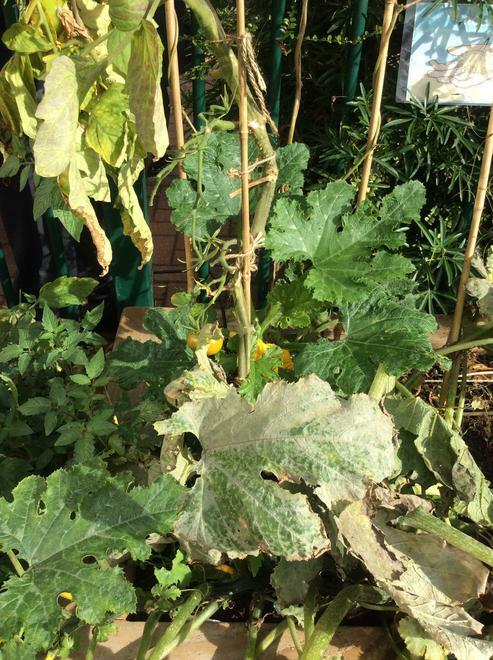 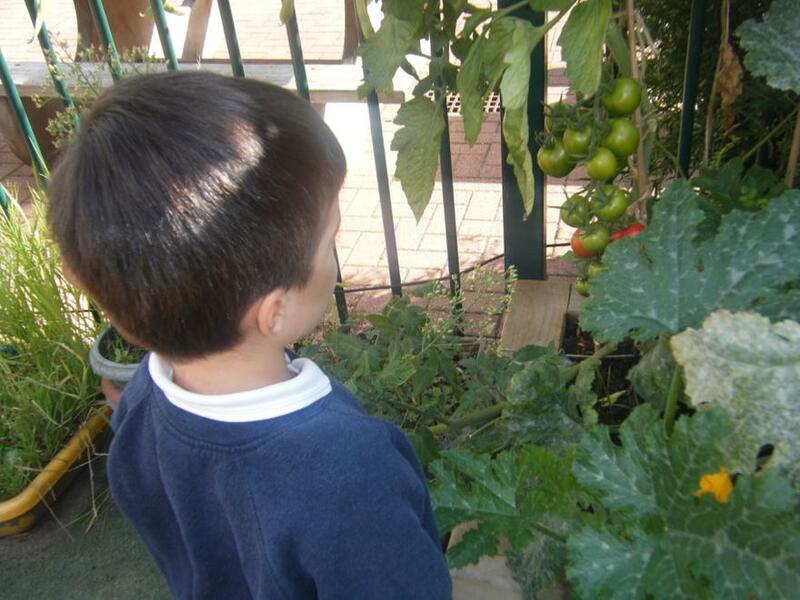 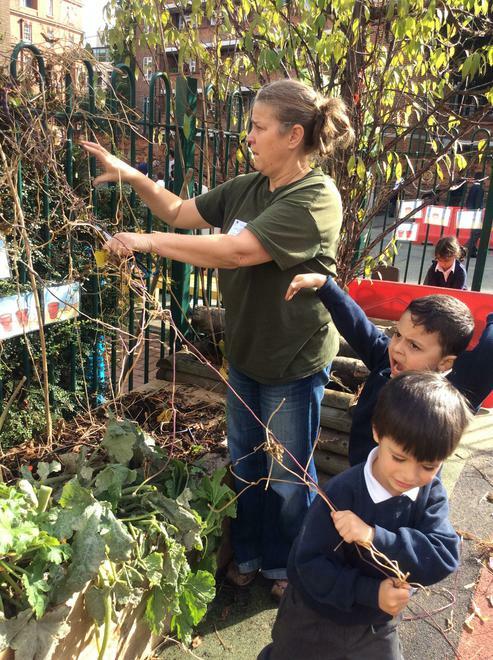 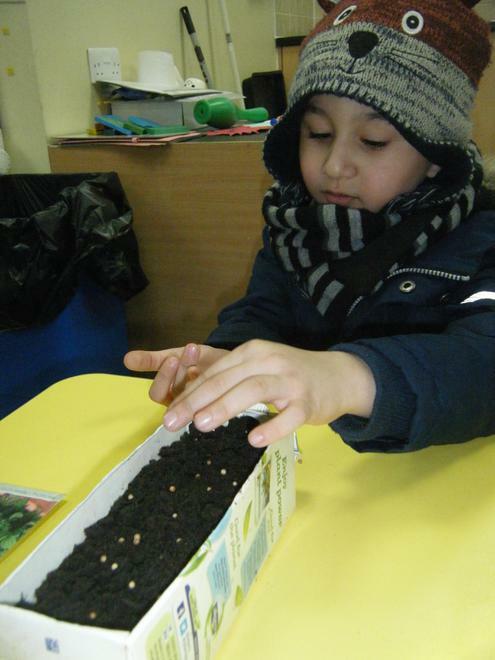 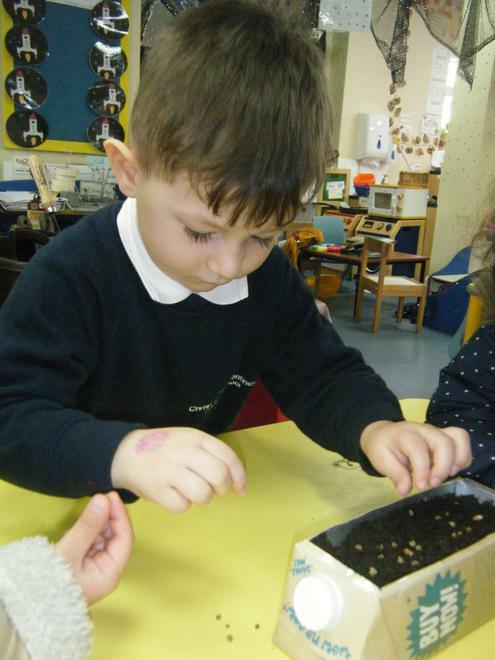 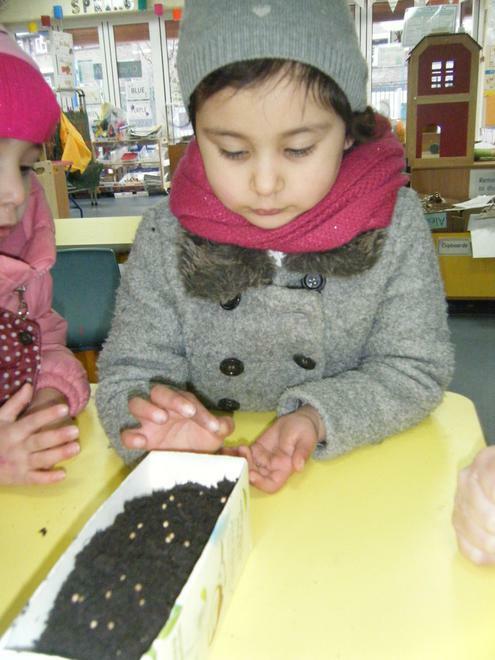 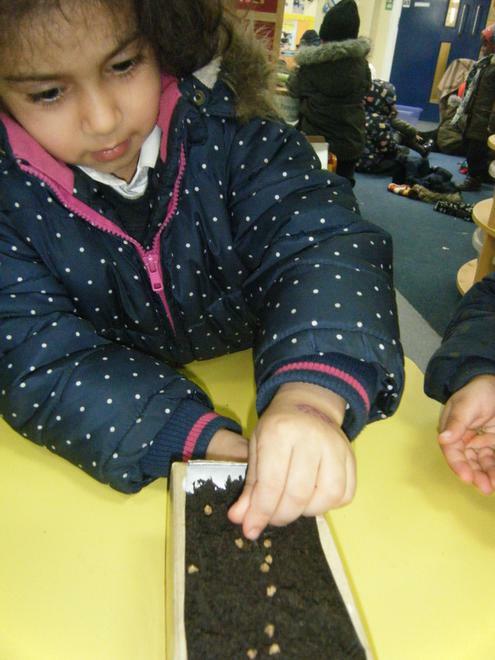 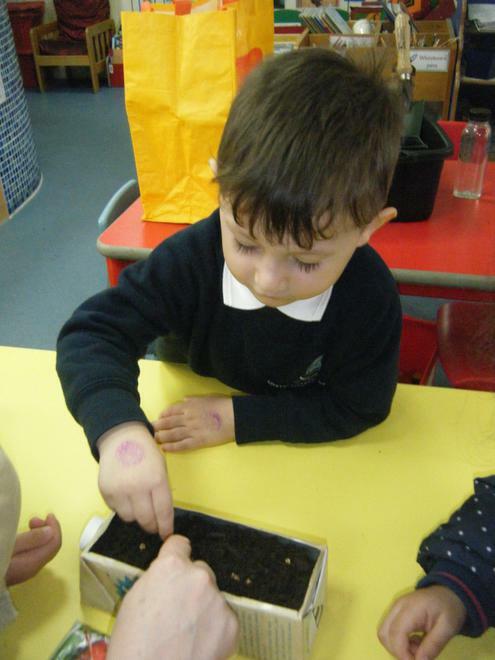 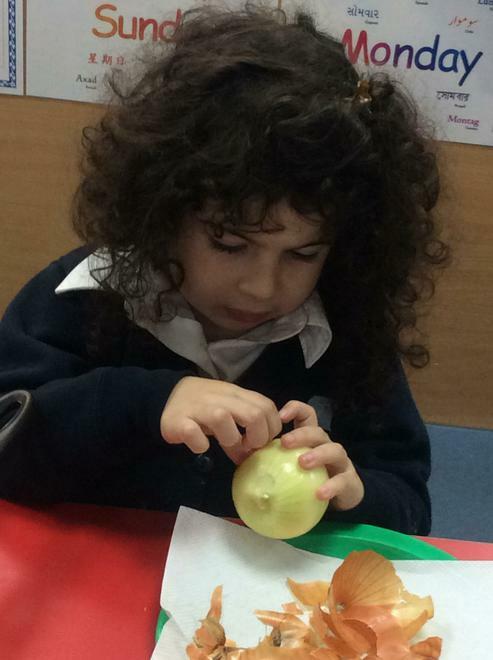 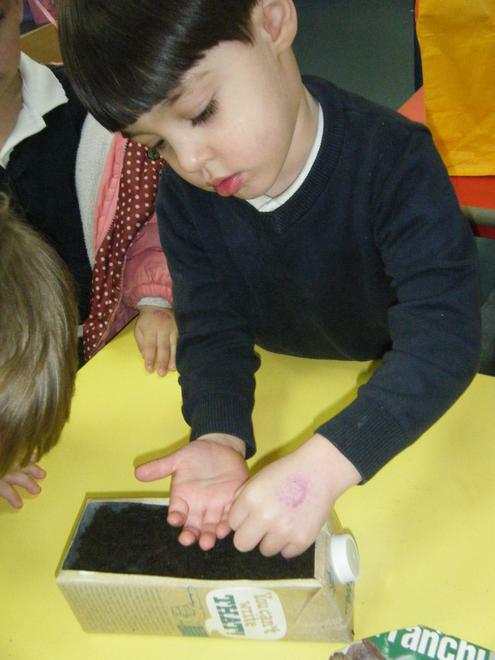 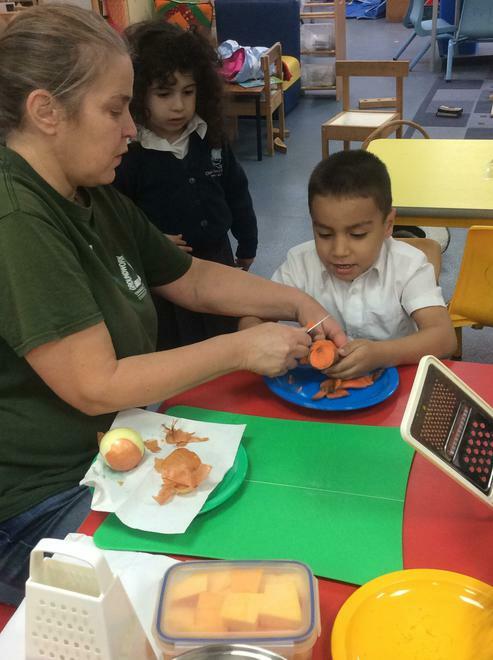 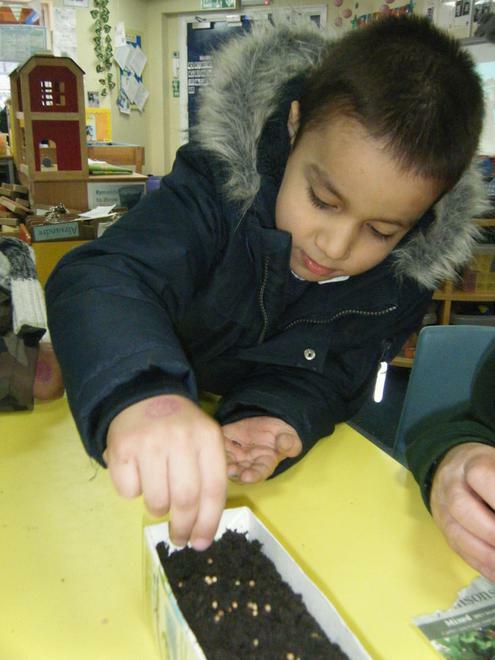 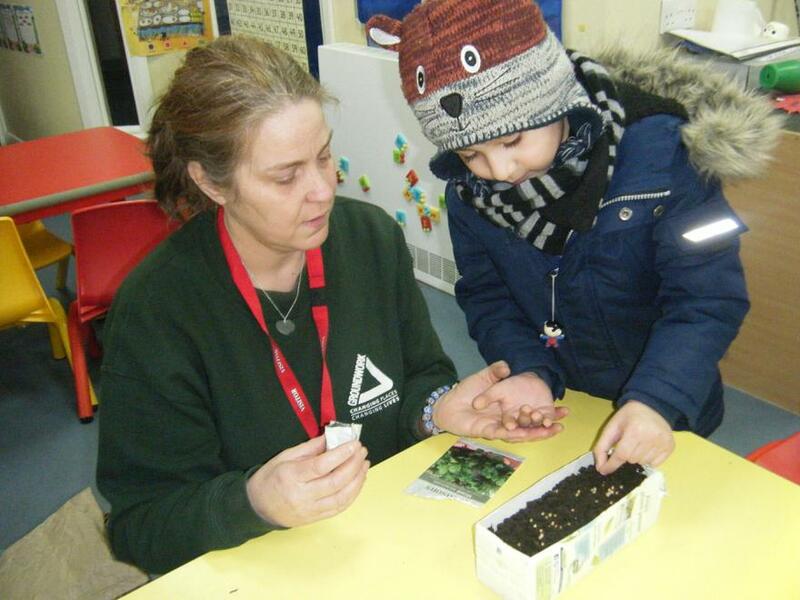 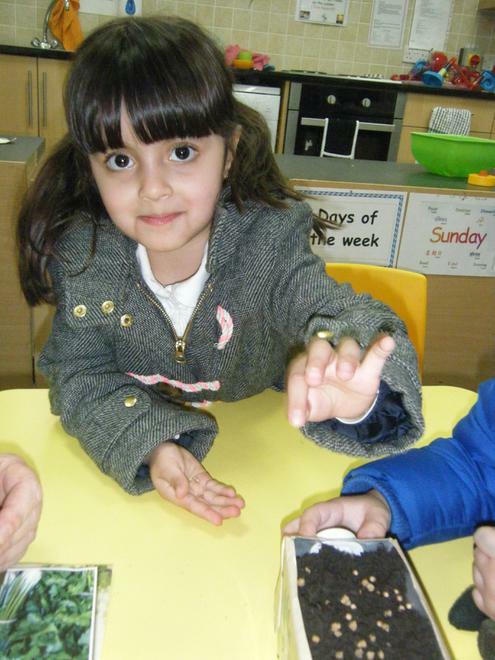 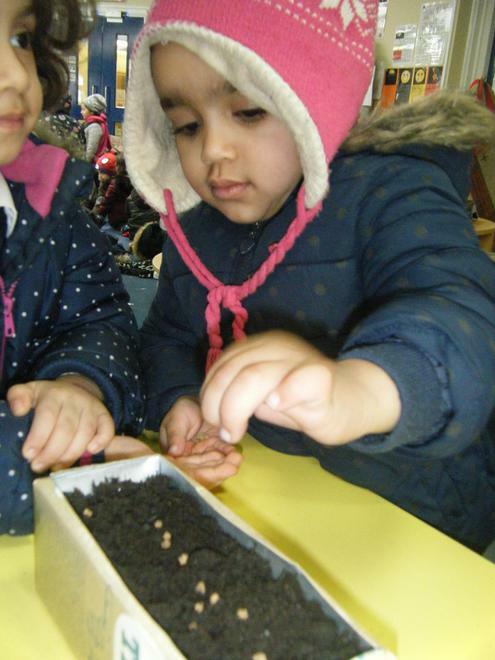 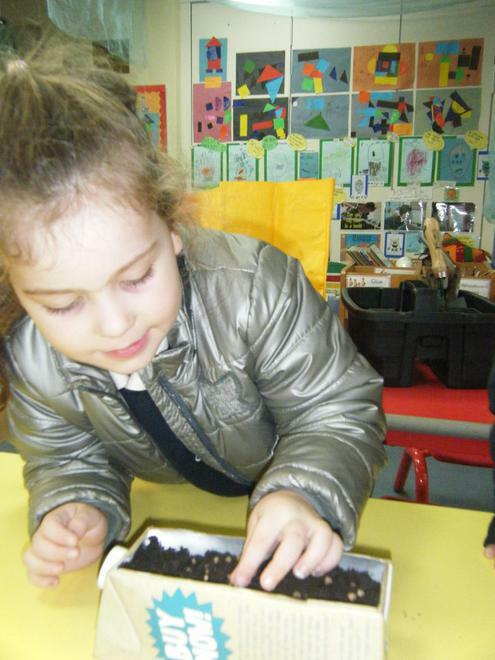 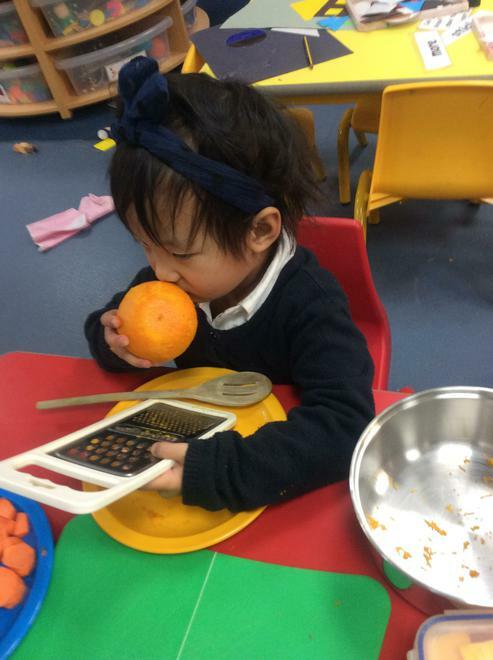 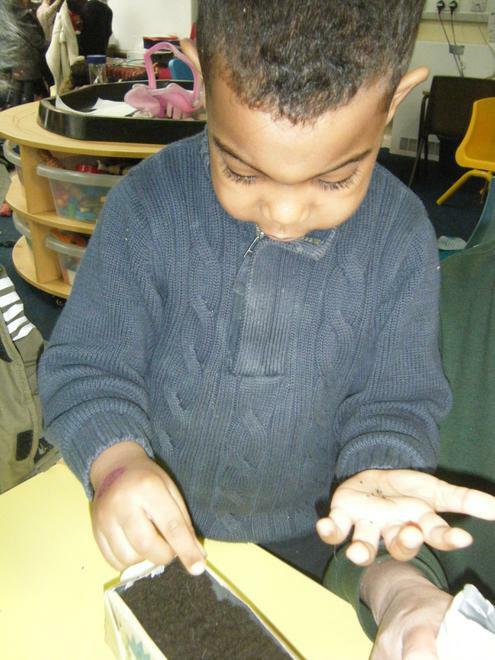 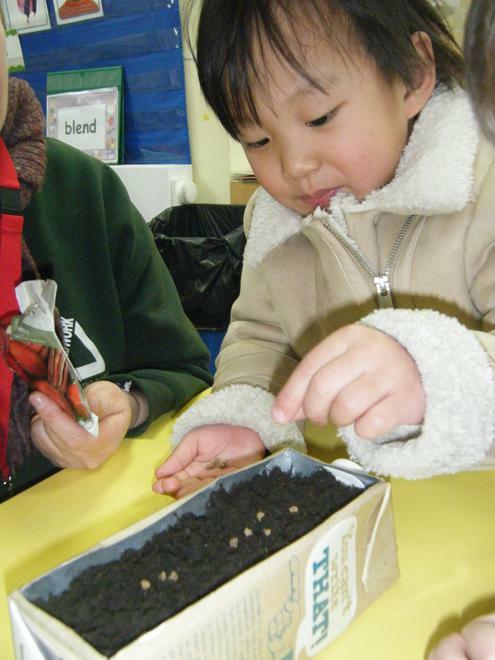 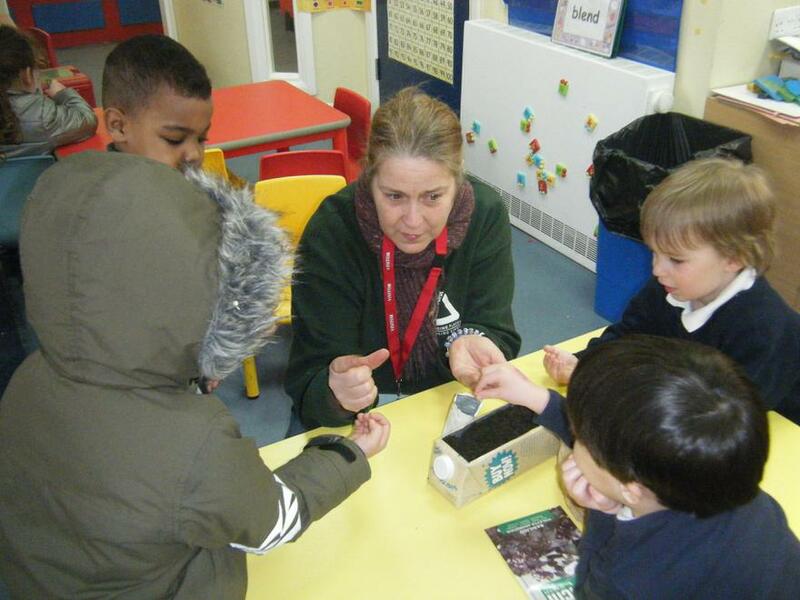 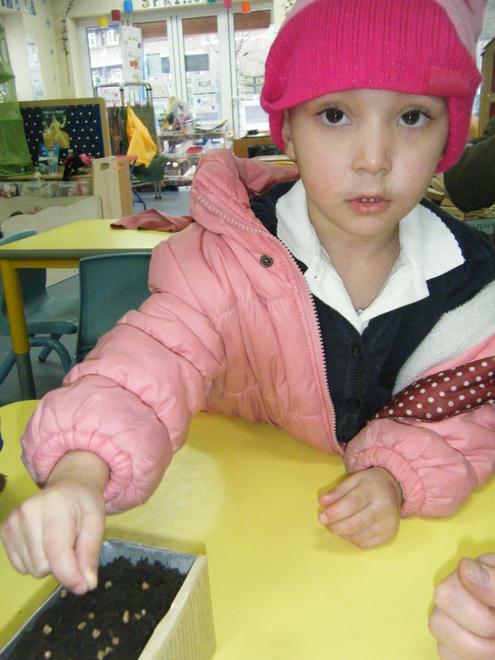 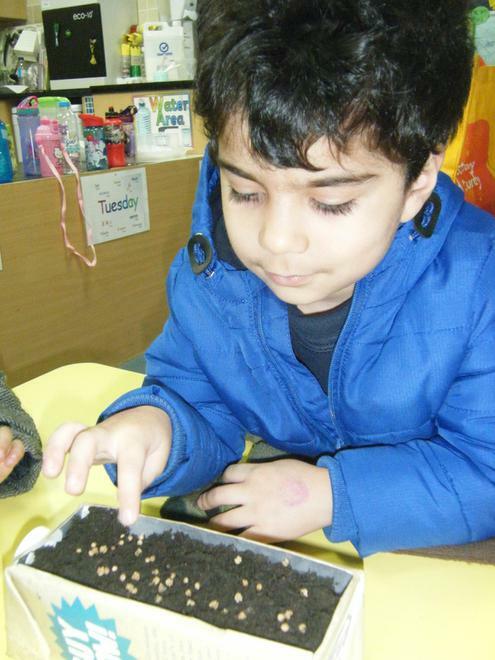 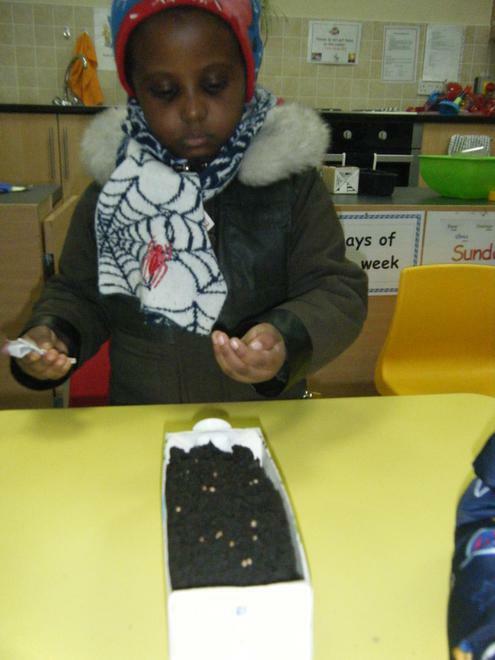 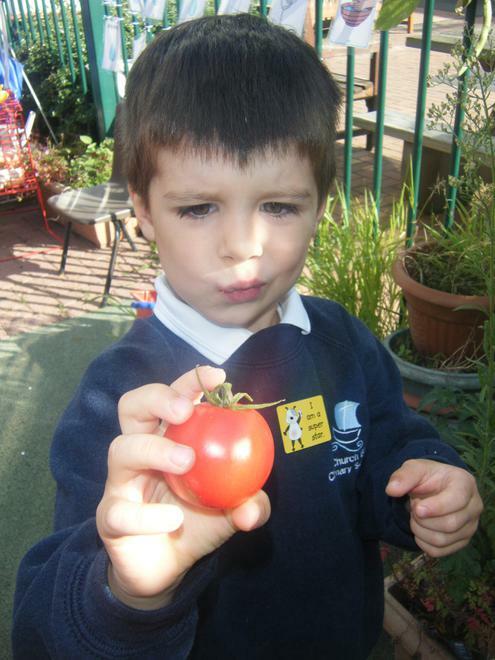 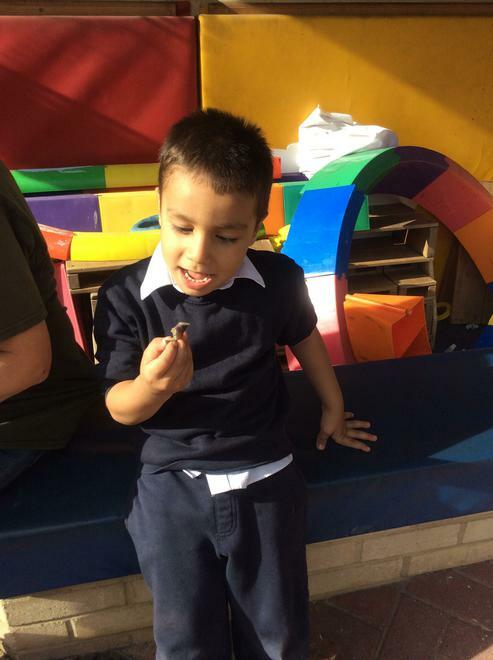 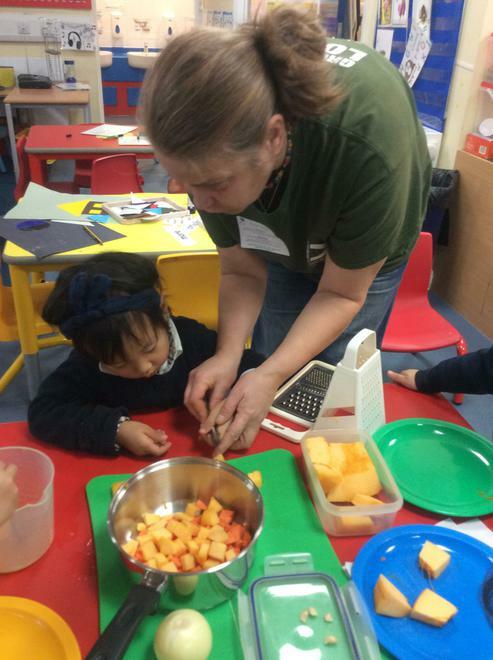 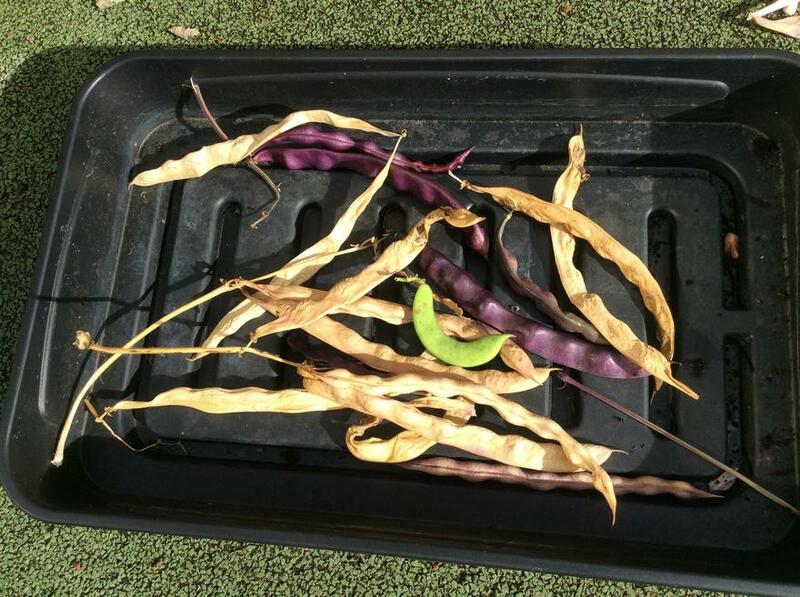 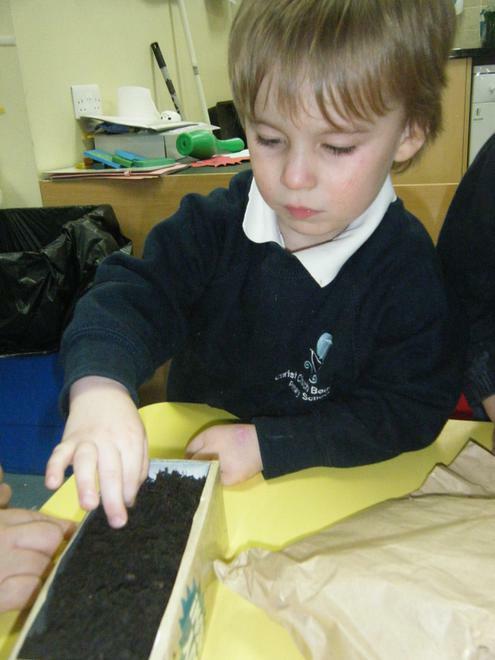 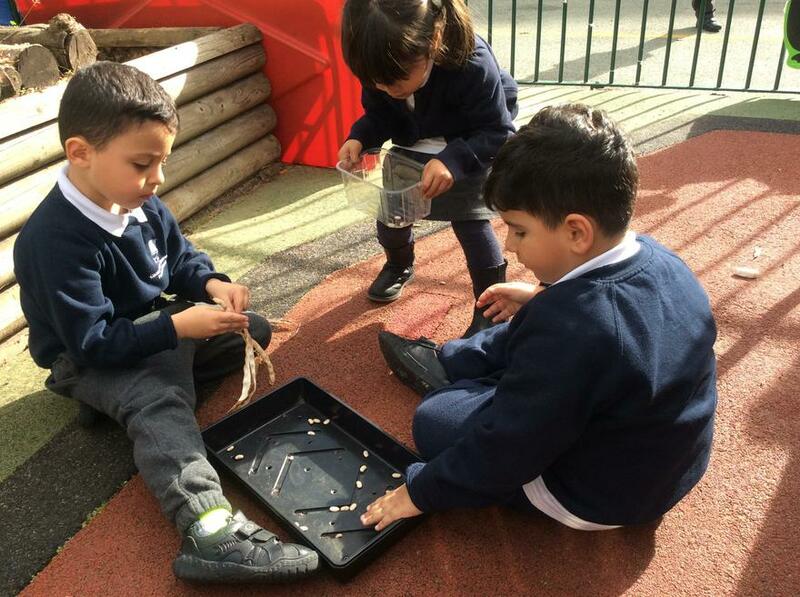 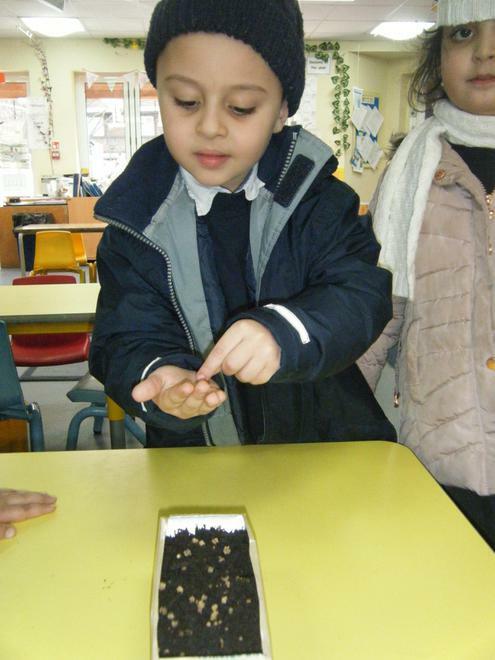 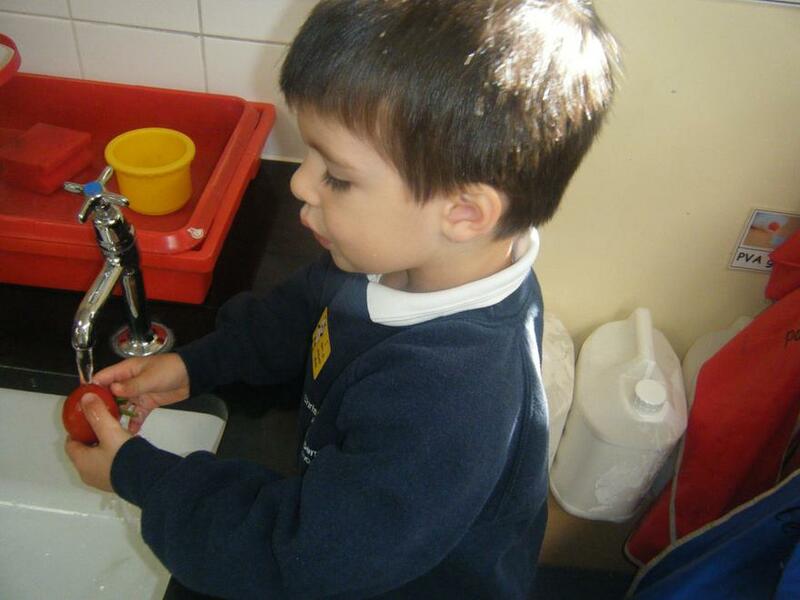 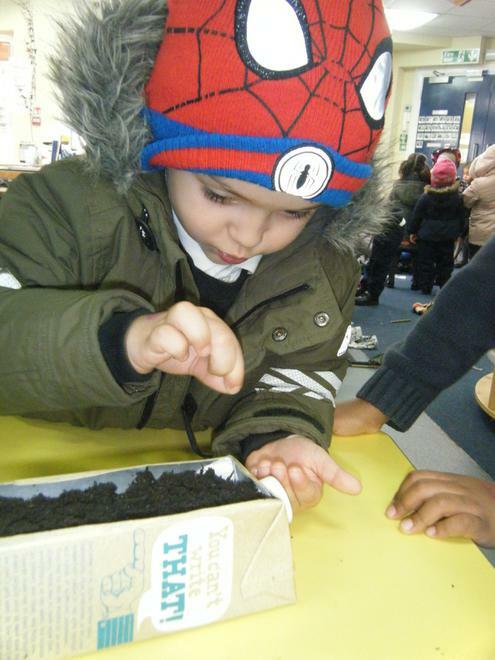 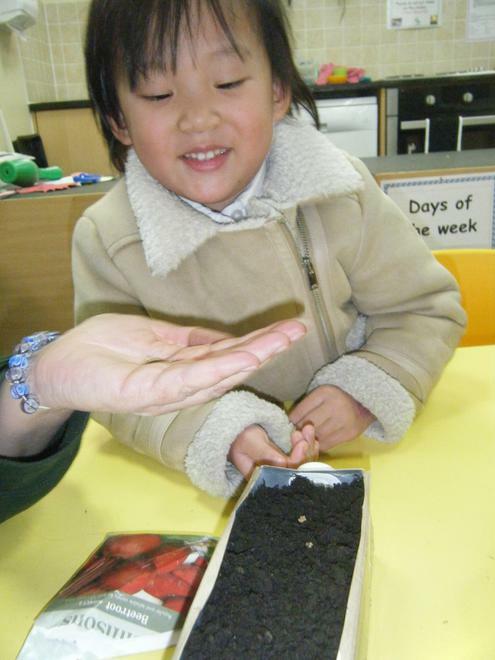 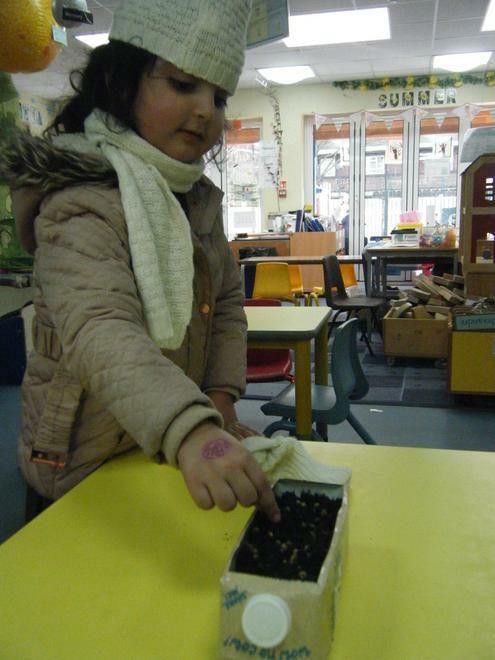 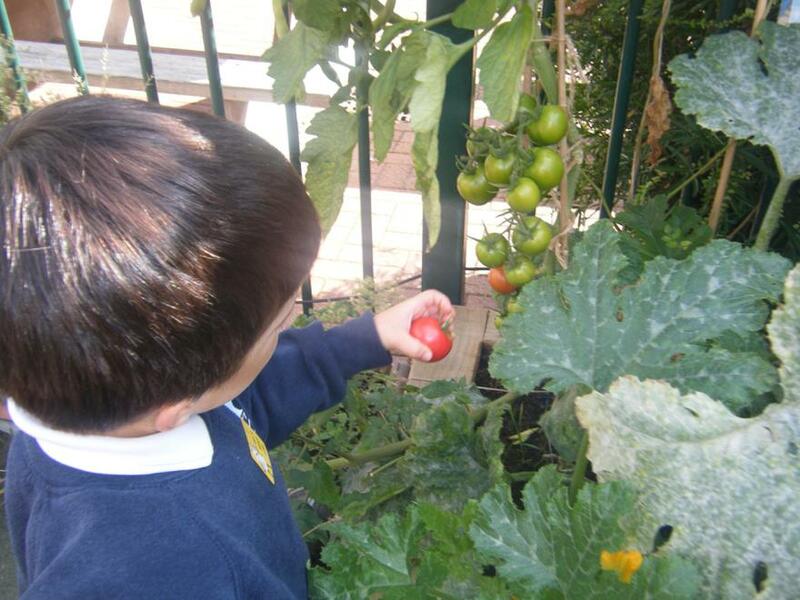 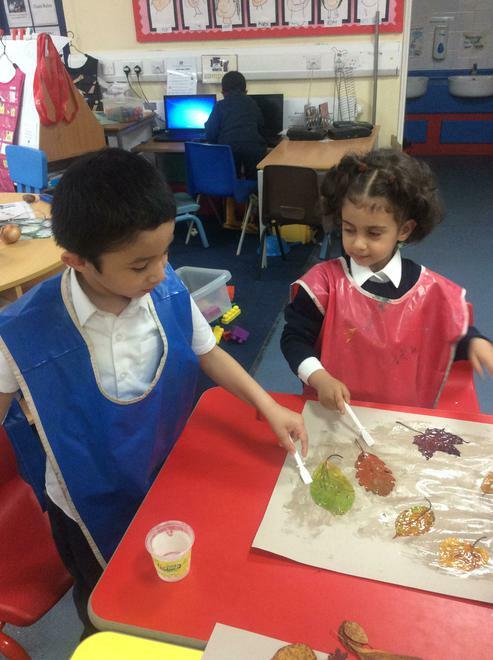 Groundwork London and the Nursery planted fruits and vegetables such as tomatoes, different kinds of beans, courgettes and herbs last school year. 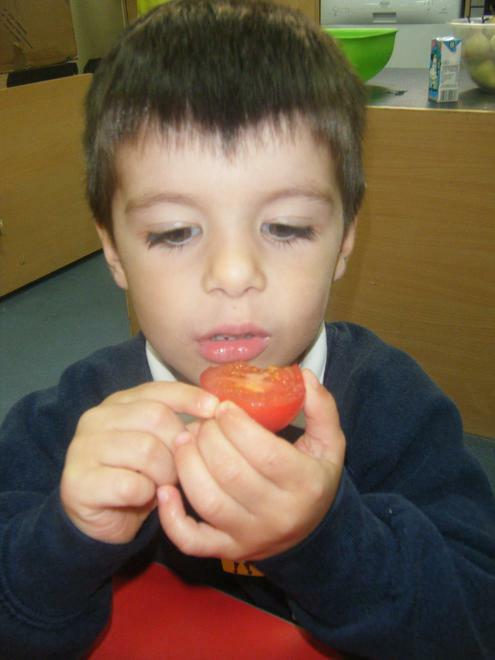 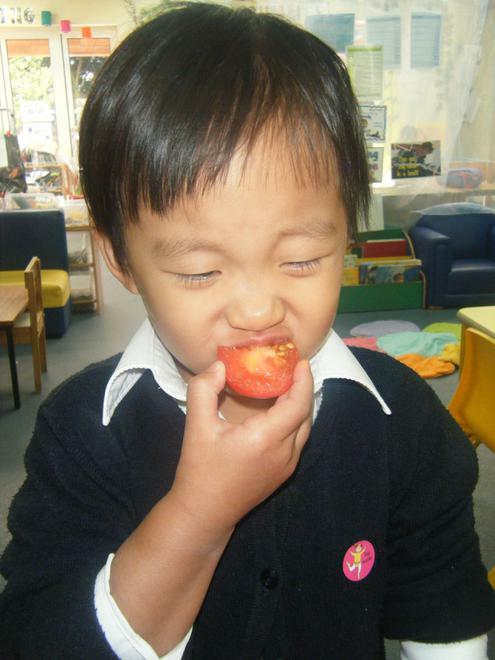 A harvested and tasted the tomatoes.